E-VPS: Premium High resource Hosting packages now from Koch, Kerala! We are happy to announce our newly developed concept e-VPS just Launched! Our Premium Hosting solutions with Special Cloud technology offers all of the power and stability of a VPS, but with the efficiency and usability advantages of a shared hosting environment. Our premium hosting plan “e-VPS” thus offers a better upgrade path for shared hosting users. Upgrading your hosting to our Premium Hosting (VPSe) as opposed to VPS results in less management issues, greater customer satisfaction, and less expensive. Just because a site was receiving more traffic and consuming more resources did not change anything about the nature of the site. It certainly did not suddenly require the user to have root access or manage the server themselves. These customers, who had been very happy on their previous hosting plans, simply needed higher resource limits. With our special premium VPSe plans, you no longer need a VPS to get reliable web hosting. If you are familiar with usual shared hosting environment, you can easily manage your eVPS hosting with BharathNet.The biggest complaint we hear about VPS: it’s not automated. With our eVPS hosting, we fix all servers within a few minutes. In our eVPS plan, it run only one instance of the OS, Apache, MySQL, cron, and other software and need only one copy of all binaries and shared libraries. This greatly cuts management burden from you. With managed VPS, you pay hundreds of Dollars for the pleasure of someone responding within the hour. VPSs each run their own operating system as well as their own instance of Apache, MySQL, cron, and other software. Each VPS also needs its own copy of all required binaries and shared libraries. It is not an easy task to manage all these things manually by customers like you. ith managed VPS, you pay hundreds of Dollars for the pleasure of someone responding within the hour. 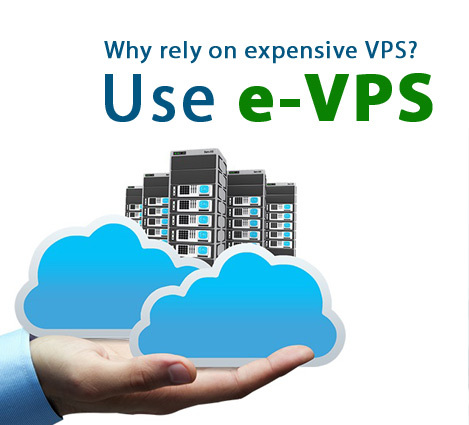 But in our eVPS (equivalent to VPS) plans you pay less than the cost of VPS. At the same time you will get all the resources just like a VPS offer. Vacancy at Kerala based web hosting company.